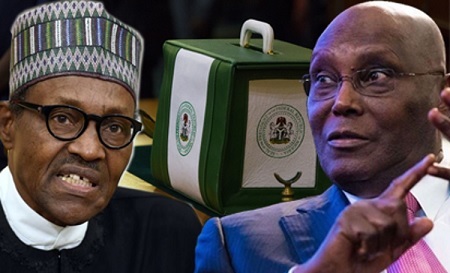 The APC, being the 3rd Respondent to the Petition filed by Alhaji Atiku Abubakar and People’s Democratic Party (PDP) has filed its REPLY to the petition and as a threshold issue, the 3rd respondent has also urged the court, by way of preliminary objection to dismiss or strike out the said petition wholly or in part as may be appropriate. 19) 3rd Respondent has urged the Court to strike out paragraphs 389 and 390 of the petition which pleaded Section 31(1) and (2) of the Electoral Act, 2010 as amended contrary to the rule forbidding the pleading of law. 2) Further to paragraph 1 above, the 3rd respondent states that the 1st petitioner is not a citizen of Nigeria by birth and ought not to have even been allowed in the first place, to contest the election. 4) The 3rd Respondent avers that by reason of the 1st petitioner not having qualified to contest the election, all votes purportedly cast for the petitioners at the 23rd February, 2019 election and as subsequently declared by the 1st Respondent on 27th of February, 2019 are wasted votes. The 3rd Respondent avers that it is not correct as contended by the petitioners in paragraph 26 of the petition that results from each polling units were uploaded and transmitted electronically by officials of the 1st Respondent through smart card readers to the 1st Respondent servers but rather the 1st Respondent used the method appropriate for the transmission of the result during election in line with prevailing circumstances as enjoined by the Electoral Act (as amended).